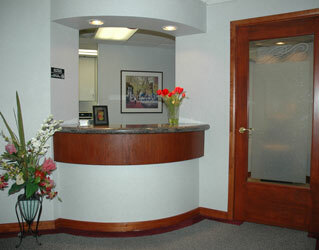 Century City Dental Associates has been serving patients in the Los Angeles and Beverly Hills area for over 30 years. We offer a full-line of dental services, includingcosmetic dentistry, preventive, restorative and implant dentistry procedures. Our dental office only uses quality products and the most advanced tools and equipment, including digital X-rays, intraoral cameras, laser teeth whitening, and alternative orthodontics (Invisalign). To better serve the diverse West Los Angeles area, our office staff is able to communicate in English, Farsi, Vietnamese, Spanish & Russian. 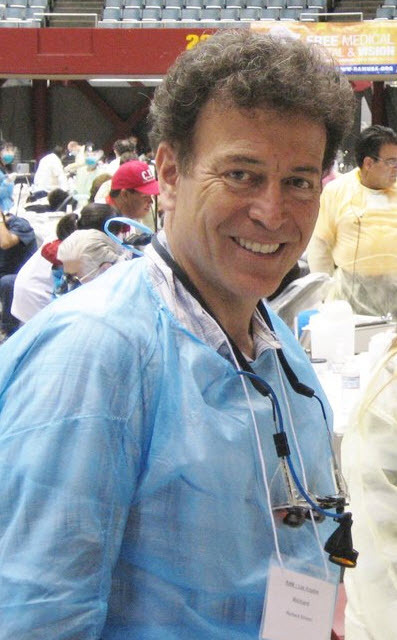 What really sets Century City Dental Associates apart is the attention we give to each and every patient. We really listen to our patients and make it a point to see things from their point of view. In addition, we try to get to know our patients beyond the dental chair. When people come to see us, instead of just going to the dentist, we want them to feel as if they are visiting friends and supporters in their quest to reach their oral health goals. However, we also understand that a dental appointment can be difficult for some people. This could be due to a previous bad experience or just a deeply rooted dental fear. At Century City Dental Associates, we do our best to allay any worries someone may have. We do this by providing a warm, welcoming, and friendly environment. We explain procedures to patients using normal words and not doctor words and always encourage honest - open communication between Dr. Silvera, his team, and our patients. While in our waiting room, you can sit back and relax and watch a little television. When you get back to the treatment room, you'll find another TV right in front of your chair with an assortment of movies, TV, and Netflix offerings. We also provide Bose headphones, Internet access, soft blankets and hot towels. Your comfort is one of our top priorities. Whether you’re looking to improve teeth that have been damaged from health issues or addiction, or want to achieve that celebrity smile, our talented, discreet team is dead-set on seeing you smile with confidence again. Many patients come into our practice with a very specific plan of what they want. Being perfectionists ourselves, we appreciate every patient’s unique concerns and desires regarding their smile. To accommodate our most astute patients, we have an in-house master ceramist who can make nearly any customization to cosmetic dentistry procedures on-the-spot. For patients obtaining veneers or crowns, adjustments can be made during your appointment, so there’s no need to wait for customizations to be made, and no need to schedule a series of appointments until your smile is perfected. Having an in-house ceramist also enables you to be very hands-on throughout the cosmetic dental procedure you’re receiving. You are asked to give feedback throughout every step of the process, so you end up with the exact aesthetic you want. In addition to catering to patients’ precision, we’re also keen on accommodating the most outrageous or complicated projects that most practices won’t take on. If you want something outside of the box, we make it possible. No matter your desires or the current condition of your teeth, all patients are approached with discretion and special care. We want you to be completely comfortable throughout your treatment. Together, our goal is to perfect your smile and help build your confidence. We’ve treated Century City dental patients and patients from all over the World, for nearly every kind of cosmetic and restorative dental procedure possible. Many patients have entered our practice with huge insecurities because of the damage they’re incurred on their teeth, but after meeting with Dr. Silvera and staff, they quickly leave their fears behind. In the event a patient remains anxious and wants to be relieved of their anxiety prior to any treatment, IV and oral conscious sedation dentistry options are available. Simply let us know during your consultation that you’re a bit anxious about dental treatment, and we’ll go over the different sedation options available to you. Our goal at Century City Dental Associates is to help people look and feel good and offer treatments that will last for a very long time. For more information about us, please browse our website. If you have any questions or would like to make an appointment, don't hesitate to contact our Century City dental practice.